Missouri Valley Special Collections staff recently processed the S. Stephen Lispi Collection containing the work of an artist who, during his career of over 60 years, crafted some of the most recognizable images in Kansas City. The collection not only reveals the fascinating process of this remarkable artist, but it also offers a glimpse into local history through the lens of commercial design. The 1908 Republican Presidential Convention was held in Chicago. President Theodore Roosevelt was not running. In 1901, as vice-president, he had been sworn in as president when William McKinley was assassinated six months into his second term. Elected in his own right when that term ended, Roosevelt had publicly vowed not to run again. He would groom William Howard Taft, his secretary of war, and then put him forward as his successor. During the four years of his term, however, Congress blocked many of Roosevelt’s initiatives and he came to regret his promise. This series of items comes from the recently processed SC193 Richards & Conover Hardware Company Collection. The wholesale hardware company was started by John Francisco Richards in Leavenworth, Kansas, in 1857. While the word "chaos" may seem a bit extreme, it is often what an archivist sees when confronted with a large collection that has no original order. Before Missouri Valley Special Collections (MVSC) staff acquired the Kansas City Stockyards Collection, its 6,000-plus items had been scattered about the Livestock Exchange Building. 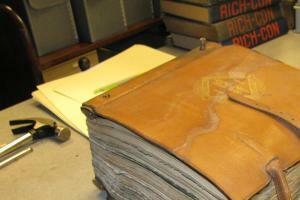 Any discernable order to the items — some over a century old — had been lost, and many were in fragile condition. Despite this daunting introduction, it was clear that the collection warranted preservation as an essential part of Kansas City history. Though the song he and librarian Carrie Westlake Whitney would write—“A Christmas Greeting to Kansas City Children”—was still nearly two years away, Carl Busch had established himself by 1908 as a world-famous composer. 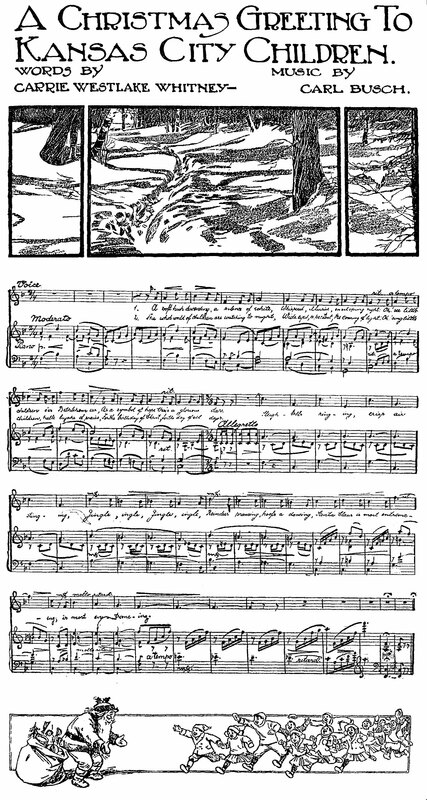 Along with works inspired by Native American music, he had composed many pieces that fell into the sacred music category. On February 16, 1908, he conducted a concert at the Willis Wood Theater that included, among other pieces, some of his sacred compositions. 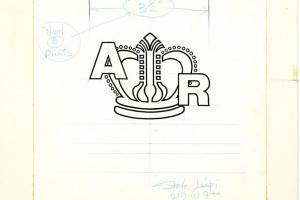 As a beloved and longstanding institution, the American Royal owes much of its early success to the Kansas City Stock Yards (KCSY) Company. The bond between the Stockyards and the growing organization was certainly one of mutual benefit. 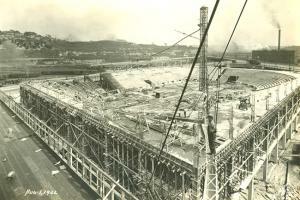 The American Royal needed leadership, financing, and housing; the Kansas City Stockyards needed a thriving livestock industry. This relationship, which lasted for the greater part of the 20th century, proved to be successful. In December 1848, a boat filled with European immigrants docked in New Orleans. 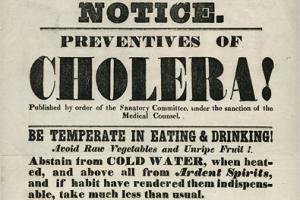 Many had fallen very ill. As those passengers who were seemingly healthy landed and spread through the city, they carried infection with them. New Orleans soon averaged 57 deaths a day. Some immigrants and some who were newly infected took riverboats up the Mississippi and its tributaries. Many died on the river and were buried during the journey. At least 30 of the infected landed in St. Louis, which soon averaged 60 deaths per day. One day that the next spring, 190 died. Imagine driving through the West Bottoms on October 19, 1943, when the Kansas City Stock Yards (KCSY) Company set a world record by receiving 64,015 head of cattle in a single day. 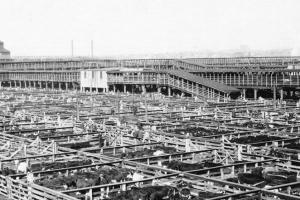 For perspective, in its first year of operations, 1871, the stockyards received a grand total of 120,827 head. 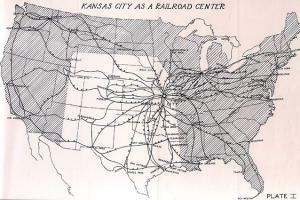 Sitting at the confluence of two rivers near the edge of the western frontier, the area we know today as Kansas City seemed destined to become a major transportation hub between the East and West. In reality, it was a combination of enterprising financiers and aggressive politics—along with natural landscape—that put it on the national stage. 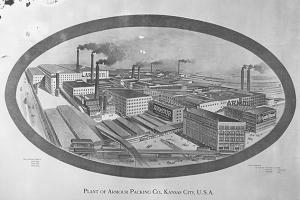 In the late 19th century, livestock and meatpacking industries had spurred Kansas City’s growth into an industrial giant. 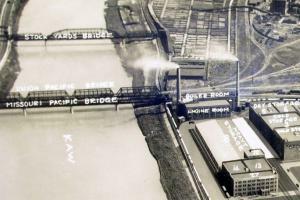 Almost 200,000 miles of railroad tracks covered the United States, and the refrigerator car had been patented, improved, and nearly perfected. This gave the meatpacking industry a huge boost, which in turn created the need for more workers along every step of the slaughterhouse process.